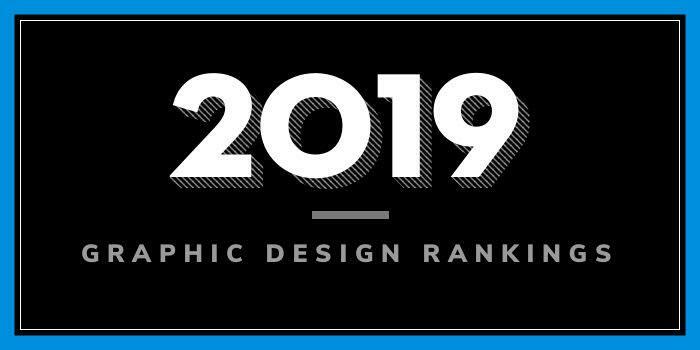 Our 2019 rankings of the top 5 graphic design school programs in New Jersey. For an explanation of the ranking criteria, click here. New Jersey Institute of Technology (NJIT) was founded in 1881. The school opened its doors as The Newark Technical School on Monday, February 9, 1885, with just 88 students. Today, NJIT serves 11,400 students enrolled in 50 bachelors, 59 masters and 19 doctoral degree programs across eight colleges and schools. The College of Architecture and Design houses the School of Art + Design, which offers a BA in Digital Design with two Tracks: Entertainment and Production. Per the school, the 125 credit hour Digital Design curriculum includes “design and graphics classes with digital and traditional media, color theory, art history, and general education courses such as math and English.” Sample courses for the program include Color and Composition, Computer Programming and Graphics Problems, Communication Art and Design: Traditional Media, Communication Art and Design: Digital Media, Digital Design Studio, Information Design Techniques, Simulated Environments, Collaborative Design Studio, and Principles of Management. Graduates of NJIT’s Digital Design Program have landed positions in the areas of Graphic Design, Communication Design, Animation, Advertising, Game Design, Architectural and Environment Visualization, Web Design, Storyboard Art, and more. 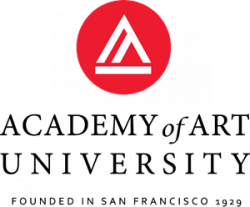 Among the studios where NJIT students have interned or worked full-time are 1st Avenue Machine, CSALAS & Co Labs, KWD – Kim Wendell Design LLC, Miskowski Design LLC, NTropic, SUSPECT vfx+design, SWDTech Games, and Tripwire Interactive. Chartered in 1766 as all-male Queen's College in New Brunswick, New Jersey, Rutgers University is the eighth oldest higher education institution in the United States. With nearly 69,200 students from all 50 states and more than 125 countries, Rutgers is also one of the largest universities in the U.S. Thirty schools and colleges serve students seeking an undergraduate education, professional studies, graduate degrees, graduate medical education, and postdoctoral education. The College of New Jersey (TCNJ) was established in 1855 as the New Jersey State Normal School. The school serves approximately 7,400 students, including 6,790 undergraduates and 610 graduate students, enrolled in 50 Liberal Arts and Professional programs across seven schools. The School of the Arts and Communication houses the Interactive Multimedia Department, which offers a BFA in Visual Arts with a Graphic Design Specialization. A Minor in Graphic Design is also available. The Graphic Design area “approaches the profession as an interdisciplinary, cross-media field that is rooted in the fine arts,” says the school. “The curriculum includes coursework in typography, image-making, theories and history, web and multimedia design, and research and portfolio development.” Students will take courses from three Tracks including Graphic Design, Print Media, and Digital Media. Three Capstone courses are also required and include Theories & Practice in Graphic Design, Professional Practice in Graphic Design, and Graphic Design Portfolio. Graduates of the program are prepared to seek positions in a wide range of areas in Publishing, Advertising, Branding, Identity Systems, Packaging, and Information Design, as well as Design for the World Wide Web and other Digital Devices. Graduates are also prepared to enter graduate programs at top art and design schools such as the School of Visual Arts (SVA), New York University (NYU), and Savannah College of Art and Design (SCAD). Founded in 1923 as a normal school, Rowan University serves more than 18,500 students enrolled in 83 bachelor’s, 41 master’s, two professional, and seven doctoral degree programs through 12 colleges and schools. The College of Communication & Creative Arts houses the Art Department, which offers a BFA in Studio Art with Specialization in Graphic Design. The 120 credit hour program provides “sequentially structured coursework in design, typography, and history,” which the school says expands students’” understanding of design as a process of problem-solving.” Design students will also “explore a range of experimental and applied design problems, from publication and corporate identity/branding to web design, packaging, information graphics and interactive design.” Course highlights include Art Studio, Digital Media & Techniques, Expressive Drawing, Graphic Design I-VIII, and Public Speaking. Established in 1942 and home to more than 12,000 students, Fairleigh Dickinson University (FDU) is New Jersey’s largest private university. The school offers more than 100 degrees and disciplines across two New Jersey campuses (Madison and Teaneck) and two FDU locations outside the U.S.: Wroxton College, in Oxfordshire in England, and the Vancouver Campus, in British Columbia, Canada. The school houses four colleges including Becton College of Arts and Sciences, Petrocelli College of Continuing Studies, Silberman College of Business, and University College. Becton College of Arts and Sciences is home to the School of Arts, which offers a BA in Graphic Design with three areas of Concentration: Illustration, Print and Design, and Web Design. Per the school, the Print Design Concentration places a strong emphasis on concept development, technical skills, and aesthetics, in problem solving. The Web Design Concentration blends technical skill with design expertise, preparing students for a variety of careers in the interactive industry, and the Illustration Concentration allows students to focus on developing a personal style, while practicing their craft. Imagination and experimentation are encouraged, as students learn technique in traditional and digital media.